​Operating businesses, market participants, asset managers, trading platforms and investors need to understand the rapidly evolving area of digital assets, including cryptocurrencies and blockchain technology. Previously largely unregulated, the growing interest in this asset class and in the use of peer-to-peer networks is resulting in increased scrutiny by regulators globally. 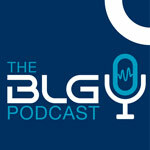 BLG is at the forefront of this movement. Our Cryptocurrency and Blockchain Group is comprised of lawyers across the country whose practices are based in a variety of legal areas, including corporate finance, investment management, derivatives, registration and regulatory compliance, FinTech, anti-money laundering and intellectual property and technology. Together, we are well positioned to assist companies with their coin or token offerings, to help launch investment funds focused on digital assets and to advise custodians, dealers, clearing systems, exchanges, marketplaces and other service providers on the unique legal and regulatory issues that they face in connection with the trading of digital assets. We also work with our clients and their service providers to address the legal issues surrounding the use of blockchain technology for information management, regulatory compliance, intellectual property rights management and the development of smart contracts solutions. "Decoding the Legal Grey Zones Around Cryptocurrencies," January 2019. "Dealing with Digital," September 2018. "Bitcoin Futures Expected to Begin Trading on Two Major U.S. Exchanges this Month," December 2017. Quoted, "All That Glitters is not Gold," Lexpert, February 2019.